The Latest Version Of Vert Shock Pro Was Expensive! It WORKS! But Was It Really Worth It? 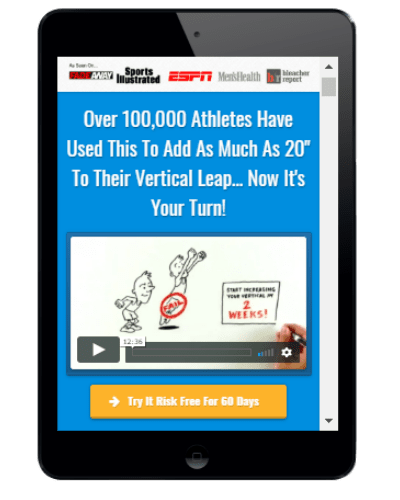 The incredibly popular vertical jump program Vert Shock continues to create a huge buzz online, particularly among basketball training communities. Let's be honest, every basketball player wants to dunk right? The pinnacle of "ballerness" is throwing down a nasty dunk on the competition. Vert Shock is turning many athletes dreams of one day dunking into reality. Both pro and novice athletes are achieving significant improvements in their vertical jump height by following this state of the art online jump training system. Best yet, it does so without the need to lift heavy weights or have gym access which is a requirement of almost every other vertical jump programs we have reviewed. At a RRP of $134 (+77 for the weight training add-on) Vert Shock is much more expensive than most other jump programs, but does it really offer better value than the less expensive options? After many requests I finally got around to purchasing a copy of the latest edition of Vert Shock and taking a look inside. 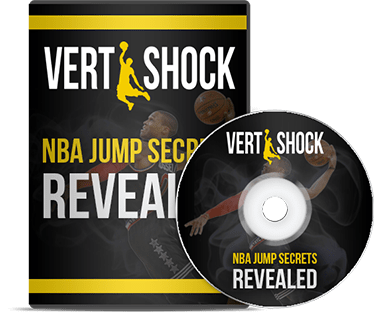 In this Vert Shock review I will show you exactly what is included in the program and how it can help you learn how to jump higher in only a few weeks. 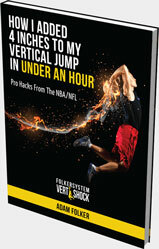 Vert Shock is a 3 phase body-weight only vertical jump program. It is designed to significantly improve an individual's vertical jump height over a period of 8 weeks. 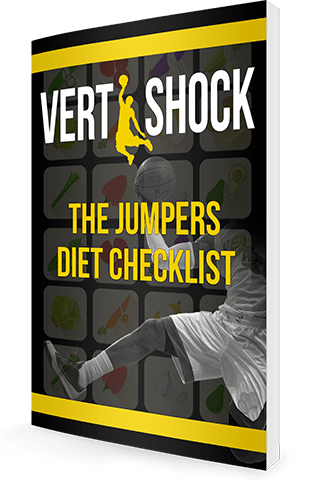 Vert Shock is the first targeted plyometric jump program designed specifically for basketball players, specifically those who want to dunk a basketball. The Vert Shock program incorporates an explosive plyometric exercise regime that essentially "shocks" the central nervous system. Hence the term "shock training". This releases a chain reaction which subsequently unleashes the potential to jump higher. The Vert Shock workouts are programmed in a distinct way to challenge the elastic properties of the jumping muscles and tendons which ultimately makes them more "springy". 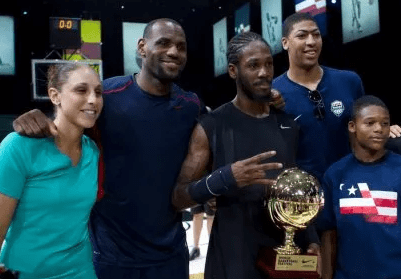 The Vert Shock vertical ﻿﻿jump program ﻿﻿﻿is ﻿﻿﻿a collaborative effort between ﻿﻿﻿professional ﻿﻿﻿basketball player Adam Folker ﻿and﻿ pro dunker Justin “Just Fly” Darlington. ​In fact, Justin Darlington has a 50 inch vertical and is claimed by many to be the "Best Dunker In The World". You can check out his amazing dunks and vertical leap by watching the feature video over at the official Vert Shock website. The Vert Shock program has been on the market for a quite a few years now. When I first reviewed an early addition of Vert Shock back in 2014, I was not very impressed by what I saw. However, over the past few years Vert Shock has obviously undergone some very impressive content upgrades. In the following review I will show you exactly what is included in the Vert Shock system plus I'll highlight some of the most notable recent upgrades. "After reviewing all of the most popular jump programs I am confident to say that Vert Shock is without a doubt the leading body-weight only plyometric jump system currently available, particularly for basketball players who want to achieve their first dunk"
>>You can learn more about Adam Folker and Vert Shock over at the official website. Exactly What Is The Vert Shock Program? Who Created The Vert Shock System & Who Is Adam Folker? How High Can Vert Shock Make You Jump? How Does Vert Shock Compare To Other Popular Jump Programs? Vert Shock Vs The Jump Manual, Which One Is Right For Me? Vert Shock Review Frequently Asked Questions? Adam Folker has spent 8+ years training athletes to improve their vertical jump. Vert Shock has allowed him to share his proven protocol with the world in the form of the instantly downloadable electronic system that can be viewed on any device. Once you make your payment you will gain direct access to the interactive Vert Shock system. From the moment I fired up the e-course to undertake this Vert Shock review I was instantly impressed by the slick design of the latest version of Vert Shock. The program has drastically improved since I last checked it out in 2014. This is by far the most aesthetically pleasing vertical jump program currently available. From the moment you login you are intuitively directed around the beautifully designed web 2.0 layout. The Vert Shock program primarily communicates through video content which is a big plus for those of us who learn best by watching rather than reading. All of the included videos are extremely well produced and are kept short and sweet. Adam Folker's presentation instills confidence in the viewer from the get-go. Vert Shock is very well presented and easy to follow. I was very pleased to see that Vert Shock now offers an add-on strength training component, a feature that was lacking the last time I previously reviewed Vert Shock. I believe this addition rivals the excellent jump specific strength training content provided in The Jump Manual. Even though Vert Shock is proven to get fast results, one of the limitations of Vert Shock has been that it is only body-weight focused. This limitation tended to lead to less potential for ongoing gains when compared to hybrid strength/plyo based programs like The Jump Manual. Therefore, I think this add-on (Vert Shock complex training variables) is a real game changer. Unfortunately, I had to pay $77 extra to get this additional training package. However, Adam Folker and the team at Folker Systems frequently run coupons and discounts on the full Vert Shock system. This body weight only jump training system allows athletes to continue to increase their vertical jump height without having to worry about extreme muscle soreness or having to purchase expensive vertical jump training equipment, both of which are common issues with other popular jump programs. The new option to be able to purchase an add-on weight training component provides an avenue to derive ongoing improvements in vertical leap. In the first 7 days of the program you can expect your vertical jump to increase up to 3 – 5 inches. 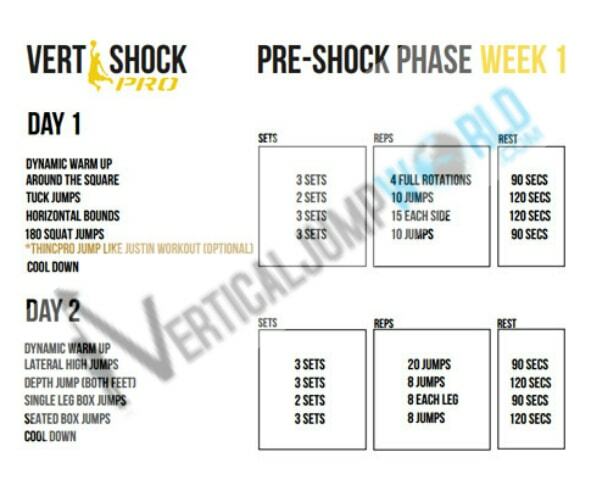 After you download this Pre-Shock Phase PDF workout sheet you will be introduced to a range of jumps and bounding exercises. This phase is designed to get your body ready for what’s to come next. Then you enter the Vert Shock, Shock Phase which is 6 weeks long. This is the main part of the program and is where your nervous system is ‘shocked’ into leaping higher than ever before . This is by far the most demanding stage of the program as you are introduced to more complex shock training routines. If you really stay focused and follow the workouts on the Shock Phase PDF during this stage you will reap the rewards. The final phase of the program is the ‘Post-Shock’ phase. This is a full week where everything your body ‘learned’ in the previous phases becomes cemented in your muscle memory. In this phase you really focus in on improving your jump technique to ensure your increased vertical can be applied in a game situation. Those of you who want to throw down your first dunk will love this phase! The Vert Shock Training Schedule: During the 8-week program you will be doing 41 workouts in 56 days.Yes, be prepared to put in the work. Although these workouts aren't overly taxing on the body, it does become quite difficult to commit to the average of around 5 workouts per week, for 8 weeks straight. The Vert Shock workouts are specifically designed to achieve various jump specific training goals. Advanced plyometrics: A range of specific jumping exercises with an emphasis on short ground contact-times. Core strength: A combination of core strengthening exercises which are a vital, yet often overlooked aspect of vertical jump enhancement. Power: While Vert Shock doesn't require weight training to increase your vertical jump. However it does include great jump training exercises like deep squat jumps develop strength and power in legs which is essential for a high vertical jump. Adam Folker does a fantastic job at alternating specific body groups to minimize the risk of over-training. For example, you will never do two heavy plyometric training workouts on subsequent days. This jump program is based on stretch-shortening cycle (SSC) research¹ which targets the relationship between an active stretch (eccentric contraction) of a muscle followed by an immediate shortening (concentric contraction) of that same muscle. Over-training injuries are common downfalls of high volume jump programs such as Air Alert. However, The Vert Shock protocol focuses on the quality of the jumps performed rather than the quantity. This means that participants undertake less jumps per session, making it less likely for participants to succumb to injury and over-training. Vert Shock offers a very innovative approach to jump training. Many other popular jump programs focus on high volume, sub-maximal training which recent research is now showing to be very ineffective. The principles of the Vert Shock system allow the participant to make much faster progress due to the maximal stimulus applied to the CNS and connective tissue"
No Heavy Weight Training Required With Vert Shock! But You Can.. Unlike other popular programs we have reviewed, the standard Vert Shock program does not incorporate heavy weight lifting​ or require any fancy jump training equipment. The base product does not require weight lifting but an extra training package add-on can be purchased from the official site. The removal of lifting throughout the program also reduces the likelihood of delayed onset mu​​​​​scle soreness (DOMS) which is common in resistance based vertical jump programs like the popular Jump Manual. DOMS have been shown to significantly decrease sporting performance and is definitely something to consider when choosing a jump program. This is particularly important if you a thinking about undertaking the program during your sporting season. Vert Shock is created by Adam Folker, a professional basketball player and certified strength and conditioning specialist (NSCA). Adam was also awarded a prestigious division 1 basketball scholarship to the University Of California Irvine where he accomplished many impressive athletic feats. Mr Folker has helped his good friend Justin "Just Fly" Darlington become the "greatest dunker in the world" by passing on some of his unique jump training principles. These two colleagues have worked together to perfect the Vert Shock program so that anyone at any level can benefit. The Claim: Gain 8-15 Inches In Only 8 Weeks...Or Your Money Back! Vert Shock guarantees that you will be jumping up to 3 – 5 inches higher within the first 7 days of the program and up to 9 – 15 inches higher by the end of the 8 week program. Remember, if you use Vert Shock for 60 days and honestly feel that it failed to deliver on anything that the creators promised you, they will give you a complete refund. No questions asked. I love it when developers stand behind their jump programs by offering such a generous guarantee. I think the fact that they are delivering such a quality product allows them to make such a bold statement. This money back guarantee offers you an exciting risk free opportunity to try a quality jump program that will teach you how to dunk a basketball. So how much will Vert Shock increase your vertical? Well that depends on how much effort you are willing to put in. The ​official site is jam packed with inspiring Vert Shock before and after success stories. This is definitely the best place to look for honest vert shock reviews and feedback from verified users. Vert Tracker (Track your added inches easily and accurately). Before using the vert tracker is always a good idea to complete an accurate vertical jump test. When we came across the 4 'Jump Killers' bonus during our Vert Shock review we were initially skeptical about the amount of value would truly offer. We were very pleased to find some interesting hints and tips that we had not yet been exposed to. This book highlights the simple yet often overlooked things that can hinder your success and prevent you from jumping any higher. I was guilty of doing two of these "jump killers" on a daily basis. Adam Folkers Jumpers Diet Checklist is a nice attempt at covering the topic of nutrition in a simple and easy to follow manner. He does a nice job of highlighting foods that can severely alter your jump potential. This is by no means a diet that will get you more shredded than a Julienne salad but it will help you learn what it takes to stay fresh and fired up over the 8 week program. In saying that this nutritional guide falls well short of that which is included in the jump manual. This e-guide includes some really cool jump secrets straight from the mind of the one of the worlds highest vertical jumpers, Justin Darlington. These are the sorts of little tricks that can make all the difference between touching the rim and throwing down a monster jam. I found this to be a great addition and quite original in it's approach. I have commonly encountered 3 of the "secrets" in other jump training programs, but 2 of them are very helpful indeed, particularly for beginner trainers. We actually cover most of them in our vertical jump training articles. This a a great feature that can really help keep you on track and adhering to the program. Even though the program is only 8 weeks long, it can seem a little daunting at times. 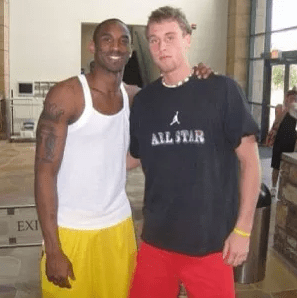 Adam Folker will keep in touch and inspire you to achieve your vertical jump goals. This an excellent new add-on that takes a look a the training methods used by NBA high flyers. You will learn the "launch pad secret" that allows players like Russell Westbrook to lift off almost effortlessly, plus much more. The Vert Shock ﻿﻿﻿﻿program has been overly hyped up by many web sites which are ﻿﻿obviously ﻿﻿solely focused on ﻿﻿promoting ﻿﻿the product for financial gains. It is obvious that many of these sites have never purchased and tried the program for themselves. 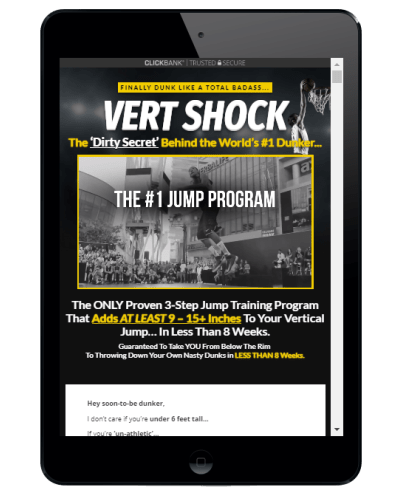 When this program is ﻿observed through shady websites in combination with the programs bold guarantee of vertical gains of 9-15 inches in 8 weeks, the Vert Shock system can be perceived as quite "scammy". Rest assured, beneath the marketing hype this program is legit and in this Vert Shock review hopefully I have sufficiently justified why I hold this opinion. I hope you find this honest review of Adam Folker's popular program insightful and helpful on your journey to achieving a higher vertical jump. Currently, two very high quality programs are competing for the number one spot on the jump program marketplace. The two best jump programs on the market are Adam Folker's Vert Shock program and Jacob Hiller's Jump Manual. Sure there are other jump programs available such as BoingVert, Bouncekit and others, but Vert Shock and the Jump Manual are leaps and bounds ahead of the competition. Let me do my best to compare Vert Shock Vs The Jump Manual. Both Vert Shock and The Jump Manual offer the very best support in the business. These two programs present an elegant and intuitive design that can't really be faulted, although The Jump Manual is becoming a little outdated. Both are very interesting and inspiring in their own unique way. 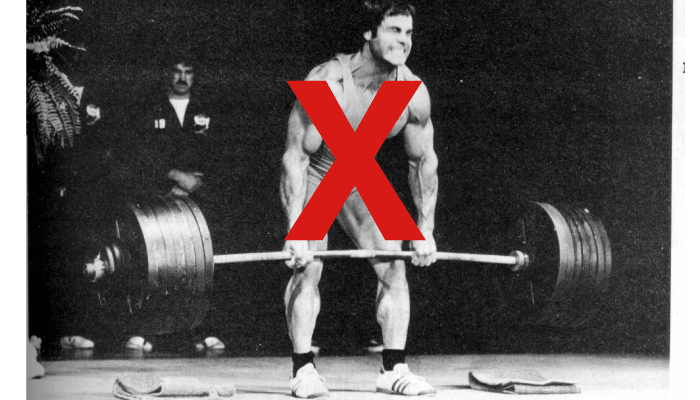 As you already know from reading our Vert Shock review above, Adam Folker's standard program does not incorporate weight lifting​. You will have to pay extra for this. With The Jump Manual it is all included. If you are a beginner or don't have access to gym equipment/don't want to deal with constant muscle soreness then choose Vert Shock (predominantly body-weight exercises). If you want to get stronger, build more muscle and jump higher without plateaus choose the Jump Manual. If you can afford it definitely buy Vert Shock and the Complex Training Routines Add-on. Whichever option you choose you can't go wrong these are both very high quality jump programs that will help you get amazing jump results. If you do plan on completing a jump program during your regular season then Vert Shock is a better option as you won't be as sore due to the absence of strength training. 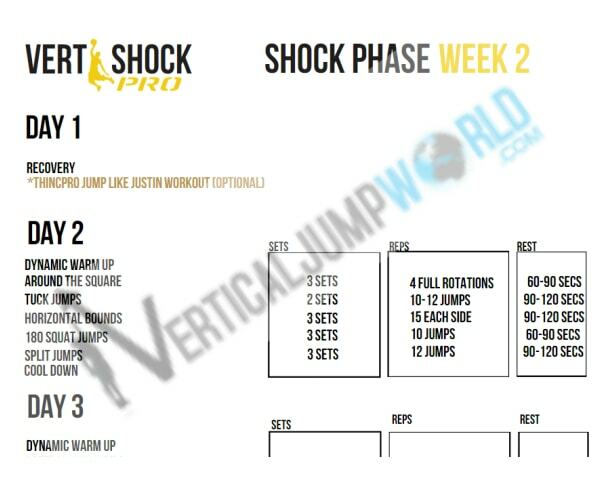 The Vert Shock program also offers users the opportunity to increase their vertical in only 8 weeks as opposed to 12 weeks in The Jump Manual. Vert Shock is a great program that gets fast results. Vert Shock Vs The Jump Manual Final Thoughts? Try Vert Shock initially to build up the explosiveness and re-activeness of the tendons to add 8-15 inches. Then if you still want to add more height to your vertical undertake a resistance based program such as the Jump Manual or simply purchase the new Vert Shock Add-on. Continue to cycle through the combined plyo and resistance based protocols with a week off in between to recover. Rinse and repeat until you achieve the vertical jump you desire. 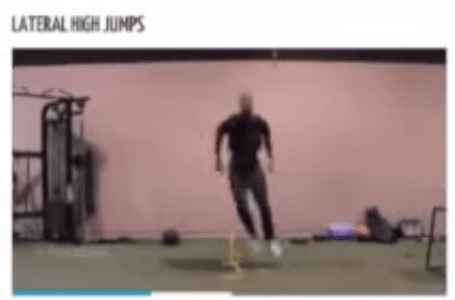 Adam Folker’s Vert Shock program does an extraordinary job of explaining the process of increasing one’s vertical jump in an easy to follow and visually appealing program. 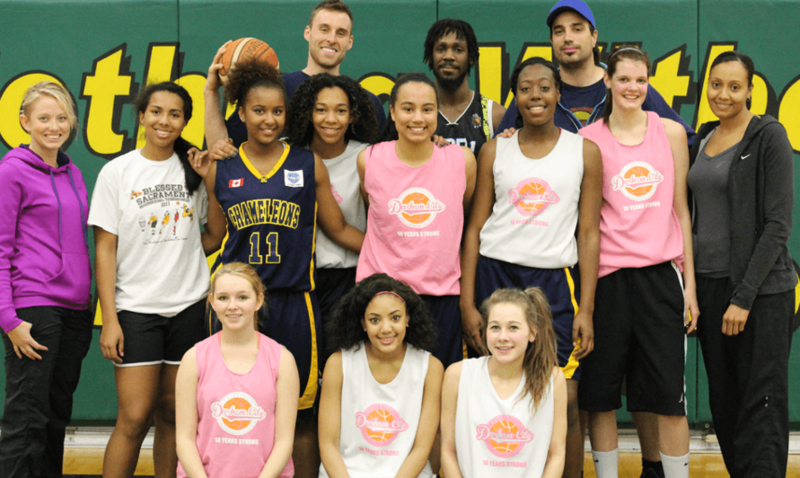 This program is very much designed with basketball players in mind. I highly recommend this program to any basketball player who would like to increase their vertical jump in a relatively short period of time. However, the programs periodized training principles could also be applied to other sports too (eg. volleyball). This program is particularly suited to beginner trainer's who have not spent years performing weights and plyometric exercises. Basically, the less training you have done in the past the greater the amount of plyometric potential you have to develop by participating in the Vert Shock program. Vert Shock is a great choice for young athletes who want to become stronger and more explosive versions of themselves. Training younger athletes requires great care and attention to a number of training variables. 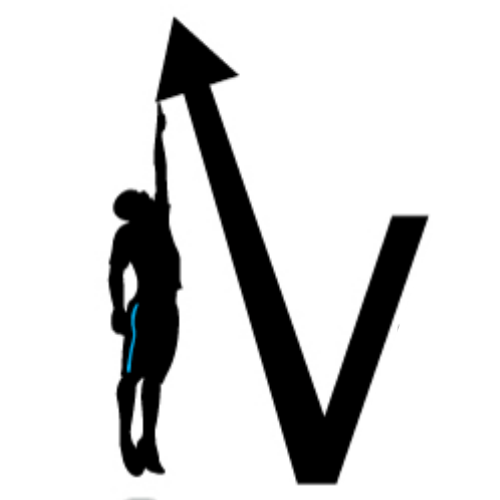 The developers of Vert Shock have done a fantastic job of catering for younger athletes who want to improve their vertical jump. In fact, out of all of the jump programs that we have reviewed over the years, Vert Shock is the only one that has taken the extra effort to address the specific demands and safety consideration of young athletes. There is a helpful information page for parents that are considering purchasing Vert Shock for their child. 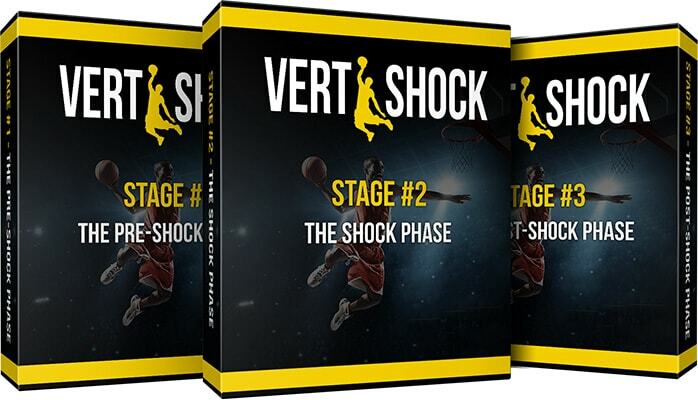 Vert Shock will not only help you jump higher, but it will also develop quickness and general athleticism which will greatly enhance other aspects of your basketball game like boxing out, rebounding and cutting to the basket. 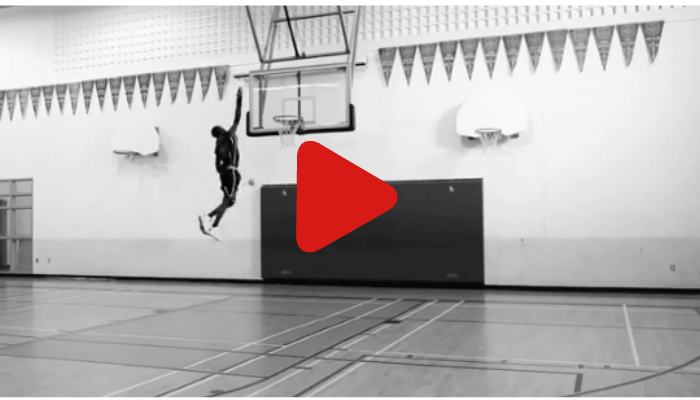 Vert Shock focuses on plyometrics (explosive bounding and jumps) and is perfect for basketball players who have no gym access or do not feel comfortable with weightlifting. Weight lifting can cause extreme delayed onset muscle soreness (DOMS) which can severely hinder in-season sports performance. As this is not an issue during the Vert Shock program it offers the perfect opportunity for in season vertical gains. Although very expensive, Vert Shock's recent complex training add-on provides continual future vertical gains beyond the initial program due to ability to raise the threshold of muscle force development. Simply put, training with progressively heavier weights continually makes you stronger. These strength gains can then be converted into explosive vertical gains, and the cycle continues (It takes many years to maximize strength development). I give Vert Shock a huge thumbs up. This program offers an opportunity for athletes to improve their vertical jump without the need for fancy gym equipment. No weight training also means less muscle soreness, making this the perfect program for athletes who want to continue to play their sport of choice during the program​. 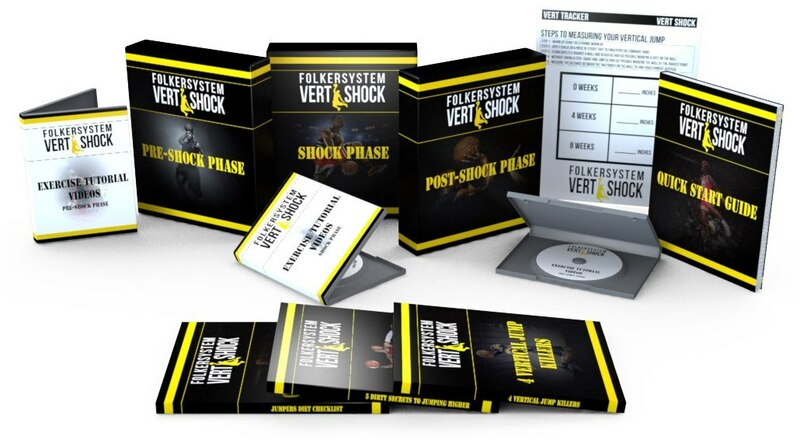 I was very impressed throughout the Vert Shock review process by the fact Adam Folker has incorporated the latest shock training principles into a very easy to follow and apply program. The beautifully designed and intuitive nature of the program makes this the perfect entry point jump program for beginners. However I believe the program also offers advanced athletes the opportunity to significantly increase their vertical. Advanced athletes will definitely enjoy the insights from Justin Darlington "The worlds greatest dunker". The current edition of Vert Shock contains everything I'd expect to see in a quality vertical jump program. The fact that Adam Folker offers a 60 day money back guarantee instills great confidence in the program. Not only does Vert Shock cover everything you need to know to learn how to jump higher fast, but it also provides superior support. Adam Folker currently charges $250+ for a one-on-one training session. You get access to him (world class certified trainer) for the much cheaper enrollment price of Vert Shock. Adam Folker's dedication to Vert Shock is evident in everything he does with the program. I anticipate that this program will only continue to get better over the coming years. Mr Folker tells it how he sees it. He let's the viewer know that in order to jump higher than ever before you will have to make a consistent focused effort over 8 weeks. He does however make this very achievable through his intuitively designed system and cutting edge exercise protocols. Overall I am very confident to recommend Vert Shock to our valued readers. Thousands of people around the world are achieving ​impressive gains on their vertical jump with the Vert Shock system. Thank You for taking the time to read our Vert Shock Review. We hope you found it helpful. To all of our readers who have been asking us "Is Vert Shock any good" we say "Yes it is.. very good indeed!" We hope that you enjoyed our Vert Shock review. If you have any questions please don’t hesitate to ask. If you have had any experience with the Vert Shock system please comment below. We would love to hear your story. I’m sure our community would appreciate it too. UPDATE: Since the time that we published our Vert Shock review we have received many questions from our readers regarding the Vert Shock program. Therefore, to save time for the both of us time we have decided to collate the most common questions we receive from our readers in the following F.A.Q list. How does Vert Shock work? Well basically it is an 8 week plyometric based exercise program. 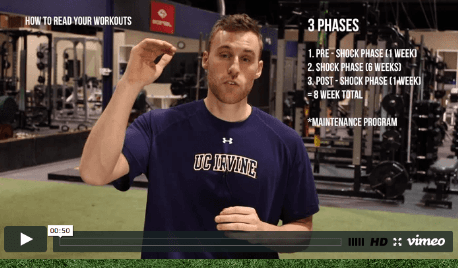 The Vert Shock workout program focuses on explosive max effort movements and bounding which essentially shocks the nervous system into adapting. The system is designed to continuously ask more of the nervous system to ensure that it "reprograms" the tendons and muscles to contract quickly and allow you to jump higher. HOW MUCH DOES VERT SHOCK COST? 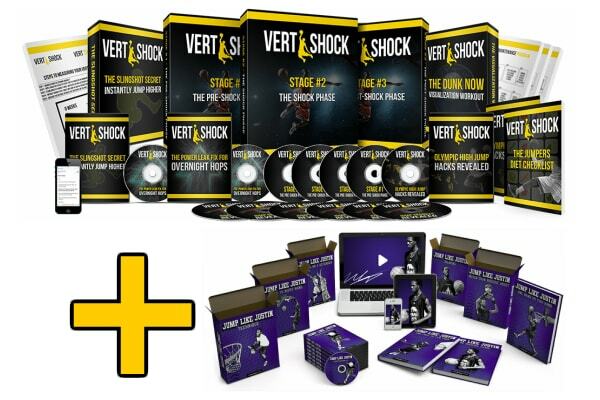 Vert Shock is listed as a RRP of $134 plus $77 for the complex training variables add-on. If you are considering purchasing Vert Shock we definitely recommend checking out our "deal of the day" tab on this page above as Adam Folker discounts his product often. We are always on the lookout for the best Vert Shock discounts and deals for our followers. HOW LONG DOES VERT SHOCK TAKE? Vert Shock only takes 8 weeks to complete! It is intense and you will train up to 6 days per week so be ready to bring it. The program has been sold to over 10000 customers worldwide. The info is based on the latest scientific research, the payment system is secure, the support is class leading and the refund policy rock solid. Many people ask if Vert Shock is legit as they can't seem to find a Vert Shock bad review online. We understand that this can cause doubt in some people. Trust us. 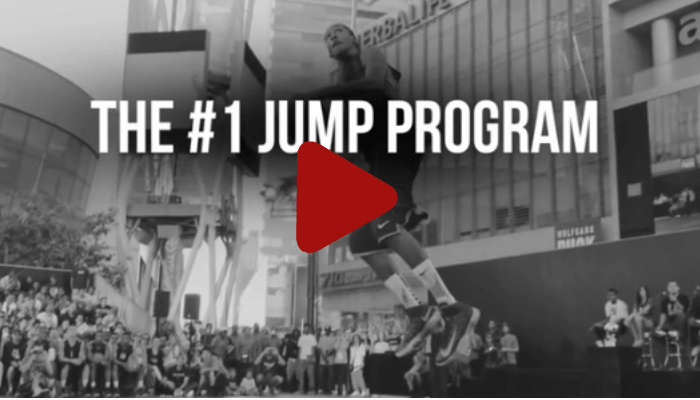 This jump program is so good you will find it very hard to find a bad word written about it. Yep, Vert Shock is definitely legit! IS THE VERT SHOCK A DVD? Is Vert Shock a DVD? No it is not. It is actually available as an instantly downloadable e-book system which features HD videos and other fancy web 2.0 properties. You can view the Vert Shock E-course on your smart phone, desktop computer or tablet. IS VERT SHOCK WORTH IT? We definitely think it is. So do the thousands of Vert Shock customers who have significantly increased their jump height in only 8 weeks. It contains all the info you need to learn how to jump higher. If you want to one day throw down a massive dunk and demoralize the opposition then yes, Vert Shock is definitely worth it! HOW TALL IS ADAM FOLKER? Adam Folker is 6ft 9 inches tall. He weighs 229 pounds. Oh, and many people also ask how old Adam Folker is. Adam Folker is 24 years old if you were wondering. Justin Darlington is 6ft 3 inches if you were wondering. Well after some thorough investigating it turns out that Adam Folker is a certified strength and conditioning trainer who has played Div 1 College Basketball. He is currently playing pro ball in Croatia. SHOULD I PLAY BALL WHEN STARTING VERT SHOCK? Should I play ball when starting Vert Shock or just stick to the program for the 8 week period? 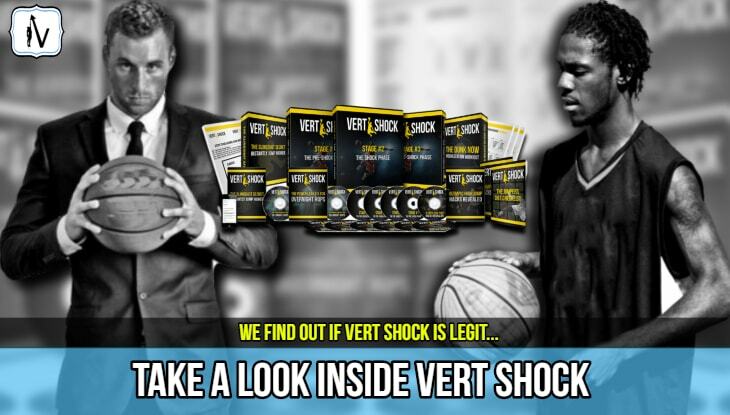 Vert Shock is our number one recommended program to undertake during basketball season. As Vert Shock does not include weight lifting you are not left sore for days. If you are looking for an effective off season jump program check out our Jump Manual Review. IS VERT SHOCK A SCAM?/IS ADAM FOLKER A SCAM? No. These very silly questions which are often perpetuated by sites trying to sell V.S through very questionable methods. V.S is a professionally designed system that has been meticulously developed over a number of years. Creator Adam Folker is not a scam artist. On the contrary. He is a very well respected strength, conditioning and vertical jump trainer. Important: Please be aware that V.S is only available for purchase through the official site (see download button below to be redirected). HOW MUCH TIME DO THE VERT SHOCK WORKOUTS TAKE TO COMPLETE? The Vert Shock workouts take around 30-50 mins to complete. So when working out on average of 5 days per week you are looking at investing around 150-250 mins working out per week. IS VERT SHOCK EQUIPMENT INCLUDED? No. No Vert Shock equipment is included because their is no jump training equipment required. All you have to bring is your own body and determination to see the program out for 8 weeks. WHERE TO BUY VERT SHOCK? Where to buy Vert Shock? Always be sure to purchase the V.S program from the official website. VERT SHOCK OR JUMP MANUAL, VERT SHOCK OR BOINGVERT? When deciding whether to use Vert Shock or Jump Manual there are a few things to consider. If you would like to compare Vert Shock Vs BoingVert, The Jump Manual, The Flight System and all of the best jump programs see our comparison page. > Also don't forget to take our quiz to help find the best program for you! We are always on the lookout for the best vertical jump programs deals for our readers. 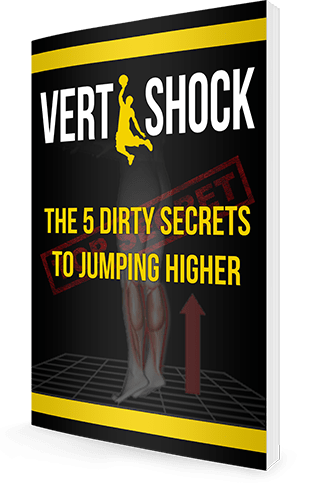 We recently discovered that the creators of Vert Shock have decided to release a FREE PDF eBook with some very helpful tips that can boost your vertical jump. 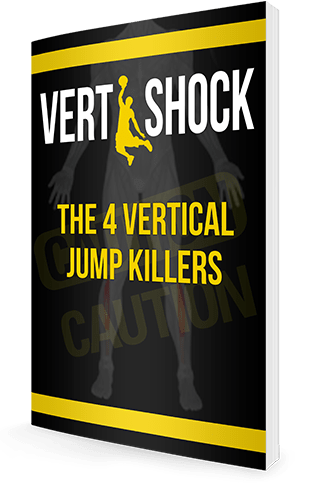 This FREE VERT SHOCK PDF contains 4 Pro Hacks used by NBA & NFL players, and it can help you start adding a few inches to your vertical jump height today without having to spend a dime. Adam Folker used to sell this guide for $17, but they recently decided to give it away for FREE for a limited time. We got our hands on a copy so we can share it with you. Enjoy! Hi,just wanting to know if you focused on eating well during the program? 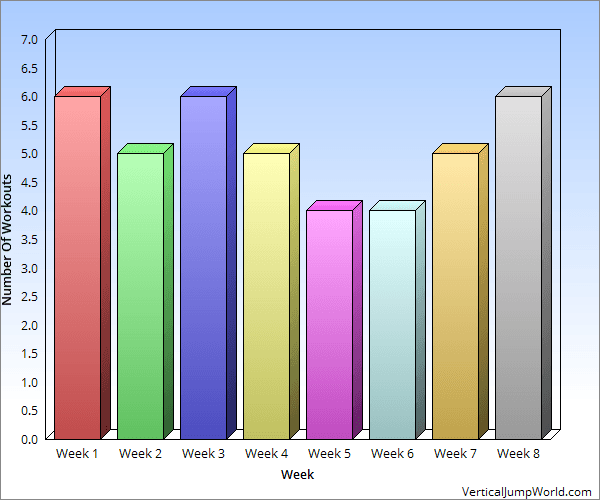 I am in the start of week 2 and my legs are very tired. I play a lot of basketball everyday. Do you think this is why my legs are tired or is it because of poor eating? Hi Brandon, yes eating well is very important to take seriously on VertShock. Eating well helps with recovery and getting lean which can improve your power to weight ratio. I found the Vert Shock eating plan very helpful in getting the nutritional basics under control. in regards to your legs been tired, well you may be simply overtraining. Any jump program is most effective when other training is kept to a minimum. Good luck! Hi, yes I’m sure the program will be fine for your son. If you scroll back up the page in this Vert Shock review you will notice that there is some helpful information for parents. I suggest you take a read of that. If he is overweight I would focus on getting leaner first as this weight will add extra stress to his growing bones and joints. Piggybacking on this question. Is Vert Shock good for volleyball training for gaining hops? My 16 year old daughter needs another few inches to take it to the next level. Thanks! Hi John, yes Vert Shock would be perfect for your 16 year old daughter and her volleyball specific jump development. All of the jump training tips in Vert Shock will be very relevant to her needs. There are a few basketball specific technique tips (dunking) and bonus add-ons in Vert Shock but if ignored will by no means restricts her potential results. The core product gets vertical jump gains. I think she will be happy with the results and carry over to her Volleyball performance if she follows it correctly and works hard. I hope it all works out well for her! Hi team, Thanks for this in-depth review. I think I am ready to make a decision on purchasing a jump program. I tried the 12 week of BoingVert jump program and started to get sore knees so thought I would give Vert Shock a go. I think I may have hurt my knee doing heavy squats. Do you think that Vert Shock will be kinder on the knees and a better option? Hi Daniel, glad to hear that you enjoyed our VertShock review. Sorry to hear that you hurt your knees on BoingVert. Yes, lifting heavy weights can take some getting used to. Vert Shock basic program doesn’t focus on heavy weights so is a great option for those who need to build a base of stability and explosiveness before moving on to heavier loads. Give it a go and please drop back in to let us know how you go. Hi VJW, can I do this program inside my home? Have a room about 5m x 5m. Would that be enough? Hi JT, yes you sure can do Vert Shock in your home. However, you need to make sure you have enough height on the ceiling so that you don’t max out too early or even worse hurt your head or neck. Length and width ways you don’t need a lot of room. 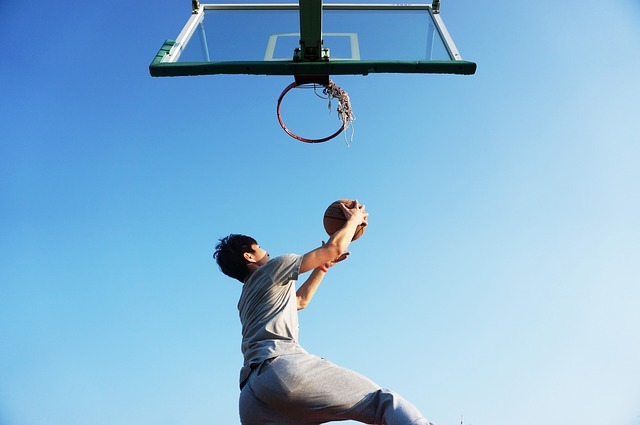 It is beneficial to have access to a basketball hoop if possible though, if dunking is your goal. Wow. Cheers for the review of Vert Shock. Thanks. Helps alot. No problem Jamal. Glad it helped. Thanks for the feedback Michael. Good luck with achieving your first dunk!